Shortly after Caitlyn Jenner came out as a transwoman, E! launched I Am Cait—a reality series documenting her gender transition. A spin-off of Keeping Up with the Kardashians, the programme differentiates itself from its parent-series by tackling trans issues in a didactic manner. 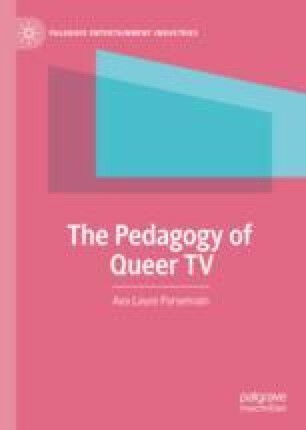 This chapter explores I Am Cait as an educational text and explains how it uses the features of reality TV as pedagogical tools. Like many reality series, it stresses ordinariness and authenticity, encouraging viewers to emotionally relate to the cast of transwomen. This chapter also shows how the text distances itself from Jenner’s personal opinions and presents different views on transgenderism and queerness. By doing so, it encourages critical thinking, discussion and debate, and promotes ethics as respectful engagement with difference.